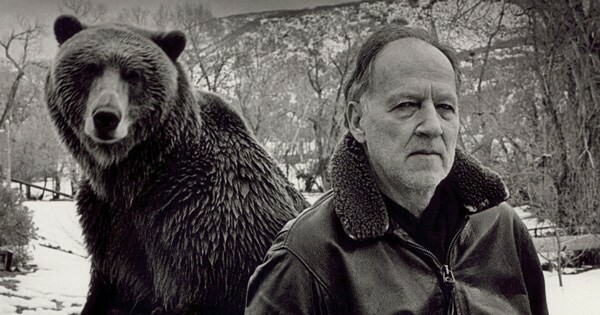 Werner Herzog is now living in the STAR WARS universe! The headline for this article is a joy I must stretch to believe. Werner Herzog has joined Jon Favreau's THE MANDALORIAN series. If you don't grasp the greater sense of cool this is, check the pulse, dial the 911 operator for help. There was other information that Lucasfilm gave us in the press release you see below. Like how Pedro Pascal has nabbed the title role. How Carl Weathers, Nick Nolte, Giancarlo Esposito, Gina Carano, Omid Abtahi and Emily Swallow are all aboard. How Deborah Chow, Bryce Dallas Howard, Taika Waititi, Rick Famuylwa and Dave Filoni are all directing episodes. I just keep coming back to the idea of Werner Herzog in a galaxy far far away. Lucasfilm is pleased to announce the cast of the first-ever Star Wars live-action series — The Mandalorian. Pedro Pascal (Narcos) has been cast in the title role as a lone Mandalorian gunfighter in the outer reaches of the galaxy. He is joined by Gina Carano (Deadpool), Giancarlo Esposito (Breaking Bad), Emily Swallow (Supernatural), Carl Weathers (Predator), Omid Abtahi (American Gods), Werner Herzog (Grizzly Man), and Nick Nolte (Affliction). Currently in production, The Mandalorian is written and executive produced by Jon Favreau, with Dave Filoni (Star Wars: The Clone Wars, Star Wars Rebels) directing the first episode and serving as executive producer alongside Kathleen Kennedy and Colin Wilson. Additional episodic directors include Deborah Chow (Jessica Jones), Rick Famuyiwa (Dope), Bryce Dallas Howard (Solemates), and Taika Waititi (Thor: Ragnarok). The highly-anticipated series will be exclusive to Disney+, The Walt Disney Company’s upcoming direct-to-consumer streaming service, which is set to launch in the U.S. in late 2019.